The Pre-Hospital Emergency Care Council protects the public by independently specifying, reviewing, maintaining and monitoring standards of excellence for the safe provision of quality pre-hospital emergency care. As the regulator for emergency medical services (EMS) in Ireland their role is to protect the public. 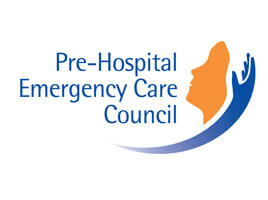 The Pre-Hospital Emergency Care Council (PHECC) is an independent statutory agency with responsibility for standards, education and training in the field of pre-hospital emergency care. PHECC also maintain a statutory register of EMS practitioners. When we think about emergency services, we know that a workforce with a high level of knowledge, skill and experience is essential to delivering high quality care at that critical moment when Emergency Medical Services (EMS) arrive at the scene of an incident. Up until recently, PHECC practitioners relied upon the physical field guide in a booklet form. PHECC ICT Support Officer John Lally explains why they chose to go down the mobile app route. “Having the booklet was great for years, and in many ways it still has its place, but when it comes to updating information during the year and in between editions of the booklet being printed there are obvious limitations there. We needed to be able to update our information and get it out to our members easily and quickly. We noticed just how ubiquitous smartphones were amongst our members and figured that we could deliver the same information in mobile app format and that we would also be able to update the app a lot easier than a booklet. The decision was therefore taken to investigate the development of a mobile app as a viable alternative. During the course of the project investigation PHECC identified ERS IT Solutions, an app developer who had developed a platform called InfoApp Manager that allows users to manage the content of their own apps. As most of the App content was already in SharePoint this content management system was ideal for PHECC and demonstrated just how efficient this process could become. The fact that the InfoApp platform enabled PHECC to also develop the App for both iOS and Android platforms (we had originally budgeted for iOS only) at a very reasonable rate was an added bonus. The App was also designed to include a dosage calculator where Emergency Medical Technicians, Paramedics and Advanced Paramedics could choose a particular type of medication and then enter patient information such as age and weight. They are then presented with the exact recommended dosage of that medication for a patient of that age and weight. From the perspective of the Emergency Medical Technicians, Paramedics and Advanced Paramedics who have been using the app there is also a good feeling about what it brings to the table. The ability to search and find information much quicker, to bookmark frequently visited and important pages, the inclusion of the medication dosage calculator and the fact that you don’t need a torch to read the information in dimly lit places means that for general usability the app is a far superior solution to the printed booklet in every way.